Unfortunately, the holiday season is also a big season for scams and fraudulent activity. We often think of these in terms of email phishing attempts and fraudulent credit card transactions, but did you know gift cards are a prime target for this kind of activity, as well? According to the IC3 (Internet Crime Complaint Center), gift card tampering and balance theft should be of concern to merchants. Because of their anonymous nature, "gift cards offer multiple outlets to turn them into cash, and can be used as a way to launder money." We've all received gift cards in one form or another .... either an actual physical gift card, via e-mail, and even via social media or mobile. Because gift cards are available in such a variety of forms there are multiple ways to commit fraudelent activity that not only harm consumers, but merchants as well. One of the most "popular" forms of gift card fraud occurs when a theif steals an inactive card from a store display, then records the card number and access code and returns it back to the display. Once the card is purchased by a consumer and activated at the checkout register, the funds are then available for the thief to use online. All the thief has to do is regularly check the available balance to determine when the card is active. Another method being used by criminals is copying the bar card information off of a merchant gift card. They then create duplicate/matching bar code stickers and attach them to multiple gift cards on the display. These gift cards are then purchased by unsuspecting consumers. When activated, the actual funds are added to the thiefs original card rather than to the actual gift card purchased by the consumer. A third method used by fraudsters is searching online for people who have gift cards listed for sale. They call the seller and ask the seller to confirm the balance available on the card via a three-way call between the seller, the "buyer", and the merchant's IVR. The seller then enters the card number and pin using their keypad during the three-way call. What they don't realize is that the "buyer" is using software to capture the card number and pin in the background. Armed with that information, they can use the funds online to make a purchase without ever paying the seller for the card. Many retailers find that the biggest source of fraudelent activity is found in employees. A customer comes in to pay for merchandise using a gift card. When the transaction is complete, the customer's card still has a remaining balance, but the employee switches and gives them a card back that has no balance available. The employee then takes the customer's card and spends the remaining balance. If you use a card display, place it near your registers or where it always has a team member nearby. Make certain that zero balance cards from customers are destroyed. Keep close track of blank cards. When purchasing gift cards for your business, be sure to talk with your provider about security measures included with the card. The small added cost for additional security can save you money over the long term from losses due to fraudulent activity. 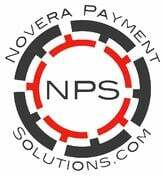 Novera Payment Solutions is well known as a leader in the credit card payments industry and is committed to helping businesses improve their bottom line by providing significant savings on credit card processing fees through our innovative flat fee merchant account pricing model. 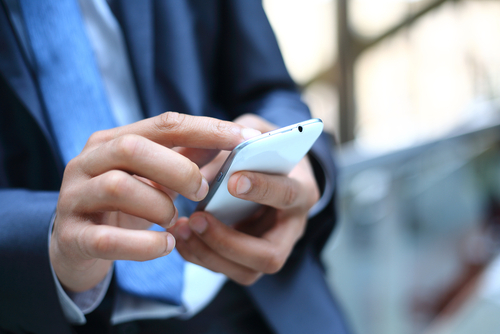 Novera Payment Solutions's consultative approach allows us to thoroughly educate our clients, equipping them to better understand this complicated industry. We work with all types of businesses across the country. Contact Novera to learn more about how we work with businesses to provide the most fair and transparent pricing structure available on the market today for credit card processing and gift card program strategies! 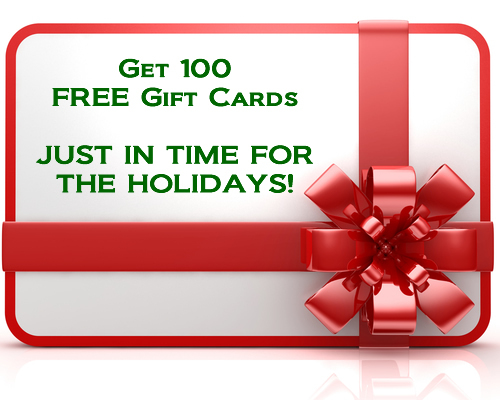 Boost Your Business with Gift Cards this Holiday Season! We have all received gift cards at some point and have likely given them as gifts to friends and family, as well. But have you ever considered offering gift cards for your OWN business? The statistics about the gift card industry make it clear that if you are not offering them as an option for your customers, you may be missing out on sales. The average gift card user ends up spending an extra 20% beyond the value of the card. Retailers who switch from paper gift certificates to plastic gift cards typically see a 50-100% increase in sales. 61% of gift card holders spend more than the amount of their gift card, and 75% of those who overspend spend 60% more than the value of their card. Around two-thirds of American consumers have purchased at least one gift card. It's clear that not only is there a consumer demand for gift cards, but merchants definitely benefit financially from the consumers who use them. 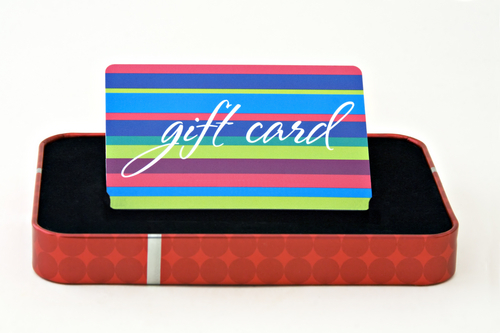 Why not boost your business with gift card this holiday season? Novera Payment Solutions offers an easy gift card program & customer loyalty card program. This program can be a terrific way to attract new customers while building loyalty with your existing customers at the same time. It can also reduce fraud and help increase brand awareness. The gift cards are easily customizable to your individual business from both a branding perspective and a program perspective. Generally, gift cards "store" a pre-paid value which may be used for purchases, but they can also be "reloadable", or even used in a rewards program format. Our team will be happy to consult with you to help determine the best implementation for your business type. For a limited time, Novera Payment Solutions is offering 100 FREE GIFT CARDS when you sign up for our payment processing service!